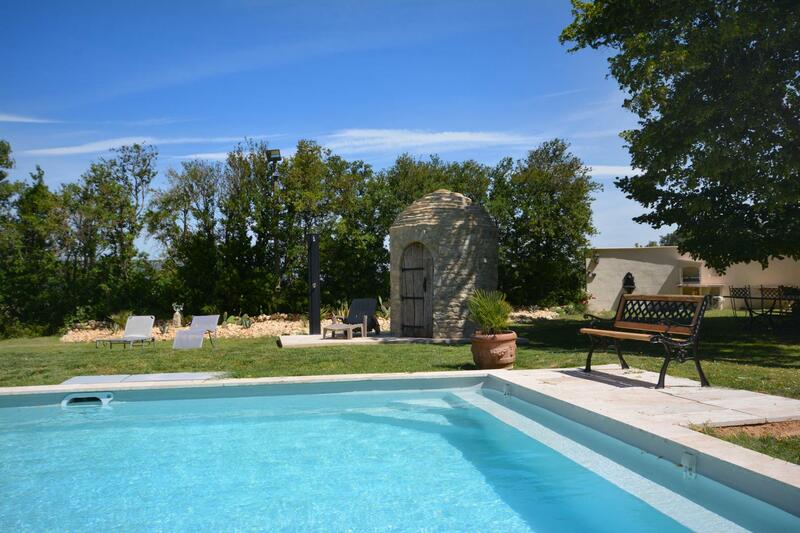 Nice semi-detached holiday rental for 6 people, set in a 18 century farmhouse. 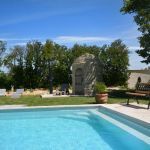 Accessible by a dozen of steps, you will find a comfortable, spacious and well equipped gite, with a view that goes off into the surrounding countryside. At your disposal, 2 terraces : a natural one of 15 sqm facing north and one near the pool. Open ground of 500 sqm for children's games. Garden furniture, barbecue. 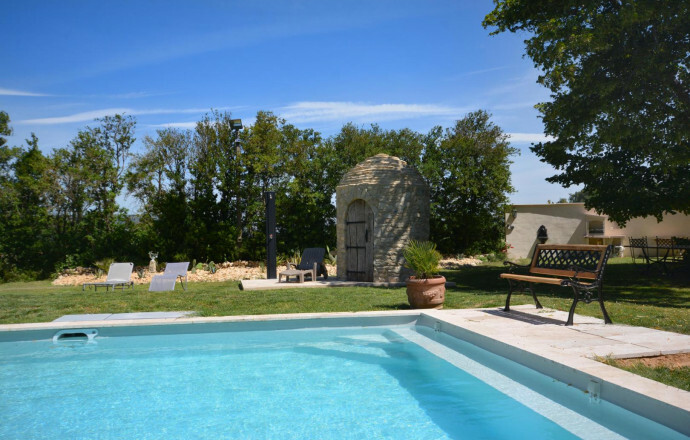 At 30 m from the cottage, a large swimming pool (12 m x 6 m, depth 1.55 m, open from may to september) shared with the owners and secured with an electric shutter. On the ground floor : living room/dining room/kitchen area (TV, DVD player, microwave, dishwasher, washing machine, freezer). 1 bedroom (1 double bed 160 cm x 200 cm) with mezzanine (1 single bed 90 cm). 1 bedroom (1 double bed in 160 cm x 200 cm) with mezzanine (1 single bed in 90 cm), baby bed. Shower room with toilet. Separate toilet. Upstairs : 1 bedroom accessible by bedroom 2 (2 single beds in 90 cm x 190 cm). Heating by heat pump : fee of 50 €/week. Possibility of final cleaning : 75 €. Tourist tax extra : 1.10 €/day/adult. Wih a direct access to a small departmental road, you can plan walks or bike rides from the cottage. Little stream on the property. The market of Vaison-la-Romaine will be to discover as well as the classified village of Séguret. For the amateurs : a visit of cellars in the villages such as Gigondas, Vacqueyras or Beaumes-de-Venise. Merci Libb et Peter.We enjoyed having you here and look forward to your next visit ,hopefuly with all the family. We are very pleased that you and your family enjoyed your stay here and hope to see you all back here soon. Moira and Adrian Kinnear-King.